Once an important site of international exchange between designers during the Cold War, it survived the end of communist rule in Eastern Europe. To mark its half-centenary, the organizers of the Biennale have decided to mount an exhibition entitled ‘The Poster Remediated’ to reflect on the past and the future of the form. 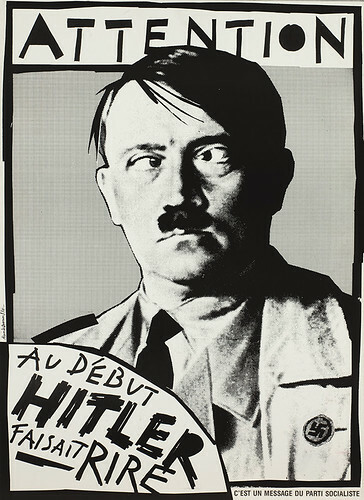 The exhibition will explore the ways in which posters have been remediated in news reports, on television and cinema screens and, increasingly, via social media on the Internet. Shin Matsunaga (Japan), Love, Peace and Happiness, 1986. Top: Jacqueline S. Casey (USA), Corners – Painterly and Sculptural Work, 1979. ‘It cannot be foreseen with certainty whether, or for how long, the poster will have a long-term future. Doubts regarding its prospects are justified when we consider the possible way of life of a post-industrial society, with almost unlimited new technical resources in an environment planned according to human resources. Some practical aids, which scientific and industrial production is placing, or will place, at our disposal in the near future: audiovisual communication by telephone: audiovisual communication with stores providing a survey of good available, automatic order and deliver in house; audiovisual communication with a neutral marketing advisory office; a newspaper delivered by home computer, independently of time, giving all desired marketing information by means of stereoscopic pictures; a home computer connected to a data bank of administrative associations and giving topical information regarding social, and political events …’ (Josef Müller-Brockmann and Shizuko Yoshikawa, History of the Poster, 1971). In outlining their vision of a future after the poster, Müller-Brockmann and Yoshikawa imagined the Internet. 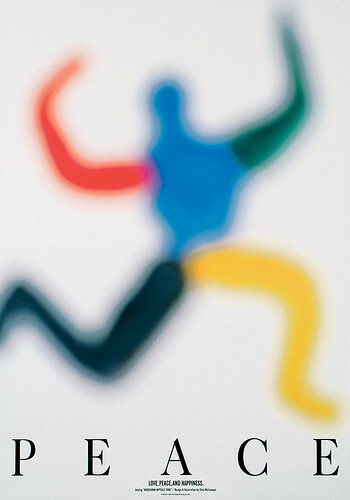 Finn Nygaard (Denmark); Save the Human Right, 1998. Now that this future is here, the Biennale has created a forum for designers to reflect on what posters might become. Ten iconic designs – by celebrated designers including Milton Glaser and Alain Le Quernec as well as a younger figures including Małgorzata Gurowska – have been turned into gifs and short animations. Entries in this competition will be shown alongside the printed posters in the Biennale exhibition in June 2016. Full details can be found at the links at the foot of this article. 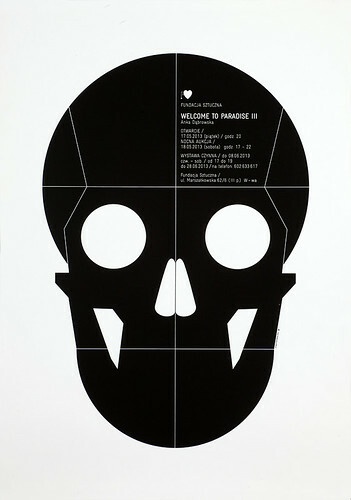 Małgorzata Gurowska (Poland), Welcome to Paradise III, 2013. ‘Motion Posters’ are a relatively new format, often used to promote movies and television programmes (or even created by fans). 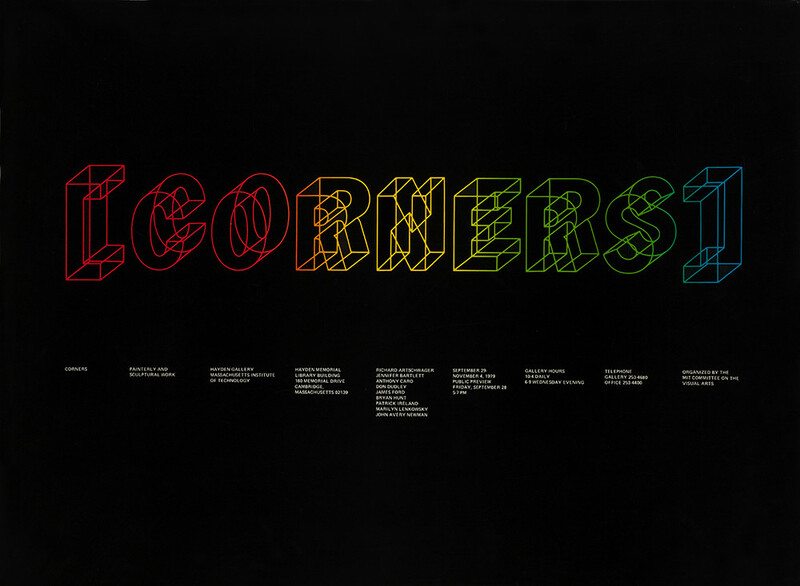 Not a trailer but an short animation of elements of the promotional poster: letters ripple into life; actors strike a pose; lightning flashes overhead. Immaterial, they are easily blogged and reposted. The motion poster is too new to have established a firm set of conventions. Like many trends on the internet, it may be no more than a short-lived fad. Nevertheless, it presents an opportunity to consider what a poster becomes when it leaves the walls and appears on screen. 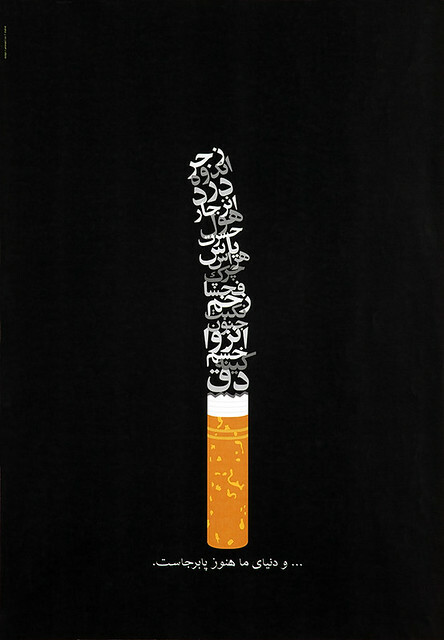 Tahamtan Aminian (Iran), ... and our world is still alive, 2003. 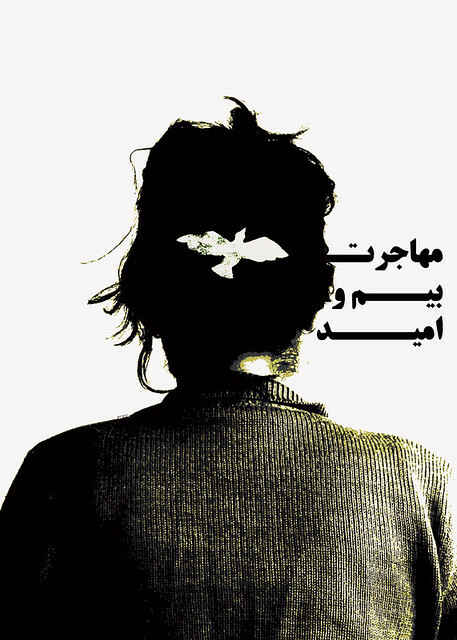 Shaghayegh Fakharzadeh (Iran), Immigration, fear or hope? ; 2011. 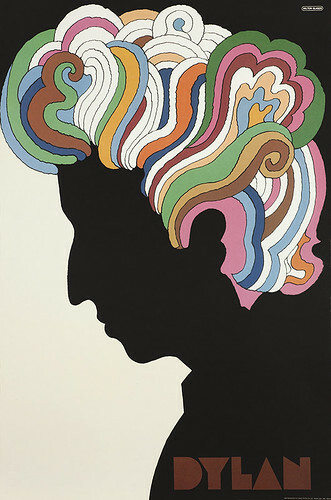 Milton Glaser (USA), Dylan, 1966. 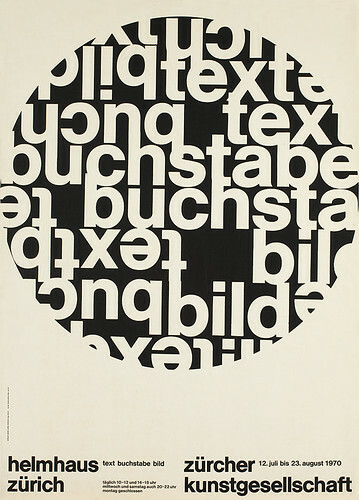 Marion Diethelm (Switzerland), Text, Buchstabe, Bild, exhibition poster, 1970. 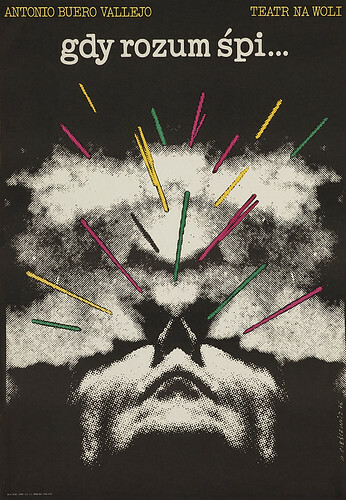 Roman Cieslewicz (Poland), The Sleep of Reason, theatre poster, 1976. 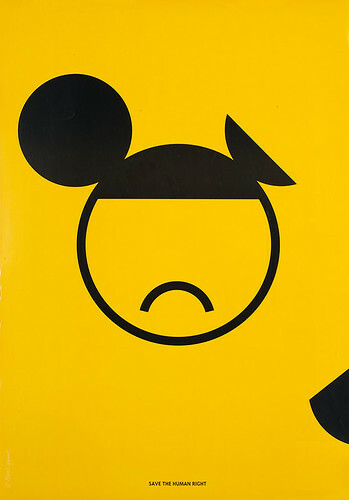 Alain Le Quernec (France), Warning. At the Beginning Hitler made them laugh, 1987.